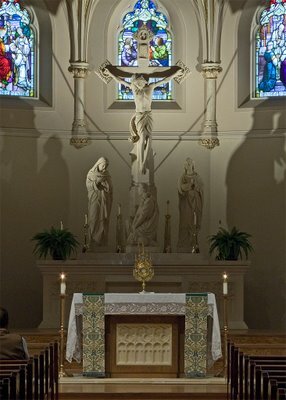 Here are photos of Saint Joseph church, in Clayton, Missouri. 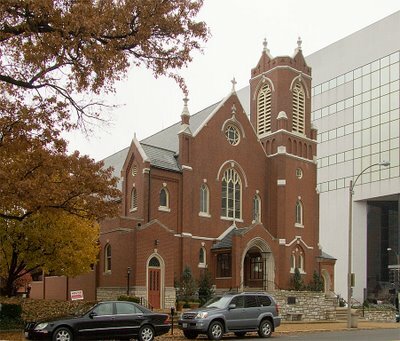 The church is about ten highway miles west of downtown Saint Louis, Missouri. Clayton is the county seat of Saint Louis County. 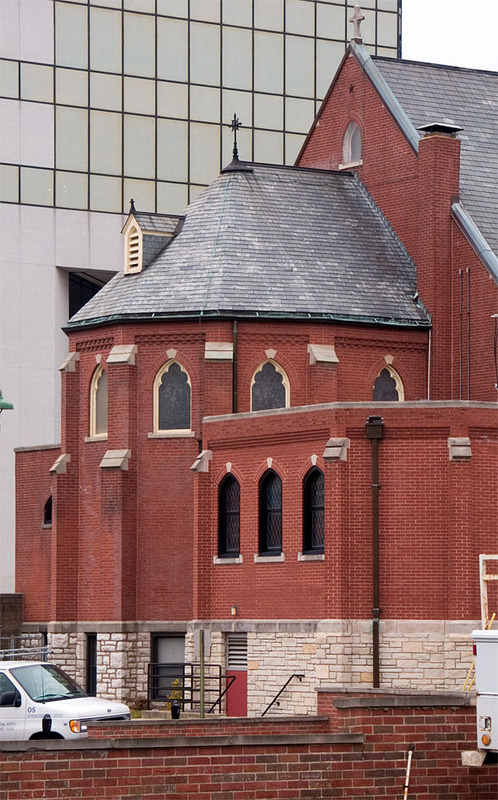 This once-prominent church is sited on the highest hill in Clayton, but now modern office buildings tower over it. Perhaps someday a new Matthew Alderman building could restore this church to its proper eminence. The parish dates from 1842, with the construction of Saint Martin's in Centerton (now called Olivette) on the Central Plank Road, used by pioneers heading west. 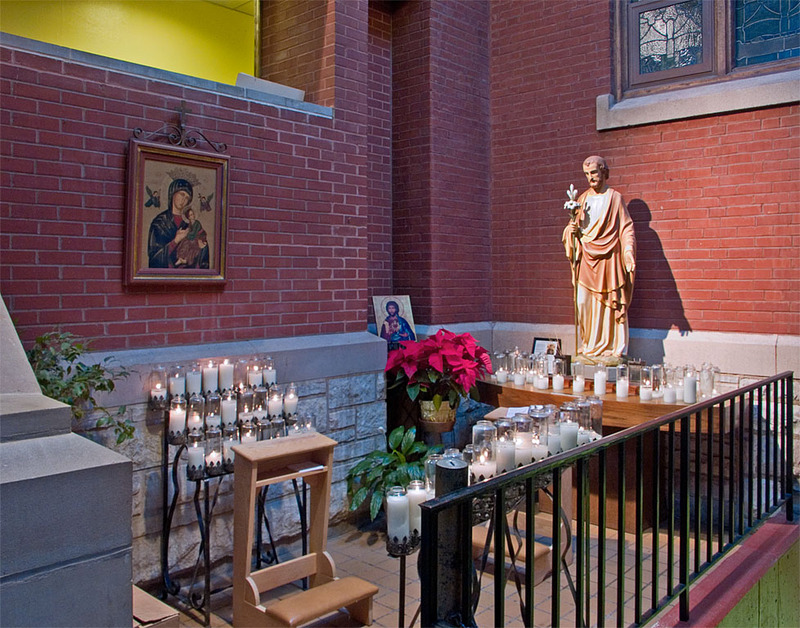 The church originally had mainly French and Irish parishioners. 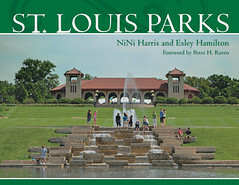 In 1876, the City of Saint Louis, a wealthy Republican urban stronghold, divested itself of the County, which was poor, rural, and Democratic, and so seemed to be useless and a drag on the government (the City later regretted this). A new county seat was needed, and the town of Clayton (named after a local landowner) was established. Clayton was ascendant while Centerton waned in importance; in 1881, the county government gave the pastor of Saint Martin's free land so that he would relocate to Clayton, and so create a new parish church for the entire county. The parish relocated in 1886 and named in honor of Saint Joseph. 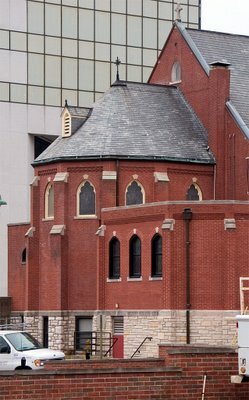 The current church was built on this site in 1912, and was severely damaged by fire in 1925. It was renovated in the 1980s and also within the last few years. 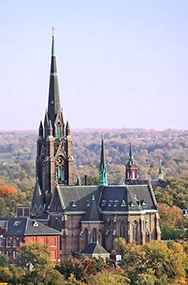 It is one of at least 15 Catholic churches, shrines, chapels, or missions in the Archdiocese that is named in the honor of the foster-father of Jesus and patron of the Universal Church. 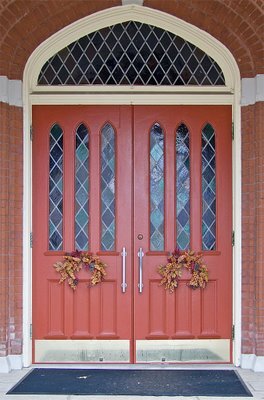 The western, or main door. As it happens, this church's "liturgical east" is aligned with geographic east. The nave of the church. 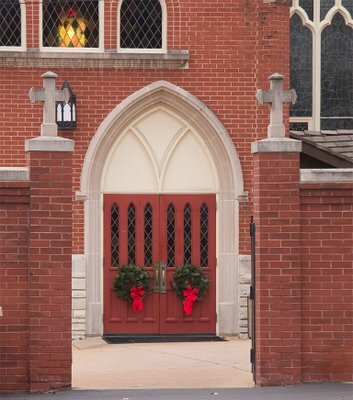 According to the 2006 Status Animarum (ecclesiastical census) this church has approximately 1207 members. 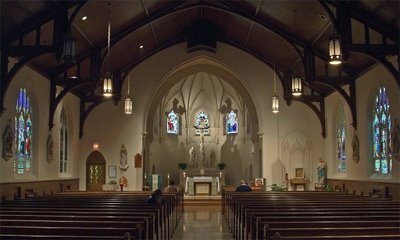 However, since this church is in downtown Clayton, surrounded by large office buildings, it has a large weekday Mass attendance. The next nearest Catholic church is Our Lady of Lourdes, in a residential area of nearby University City. 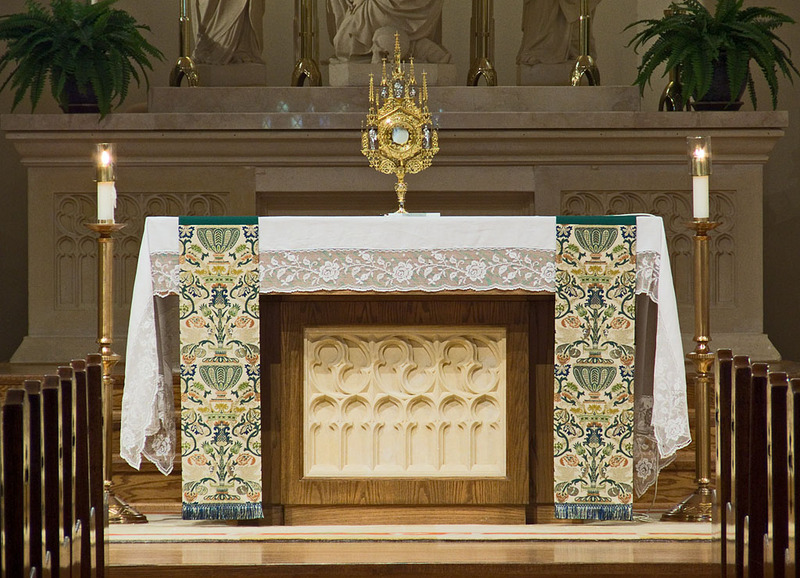 Exposition of the Most Blessed Sacrament. 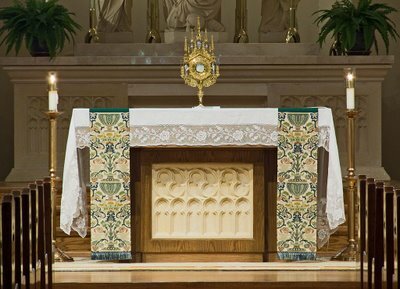 Note the beautiful monstrance and altar-linens. The tabernacle is to the right of the main altar. 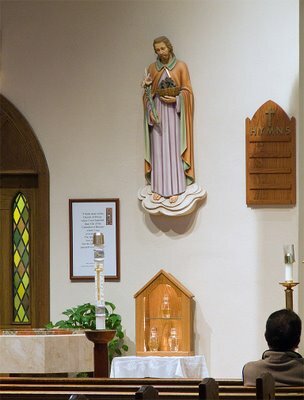 Saint Joseph above the baptismal font and the holy oils. The framed document reads "I think more of the Church of Poissy where I was baptized than of the Cathedral of Rheims where I was crowned. 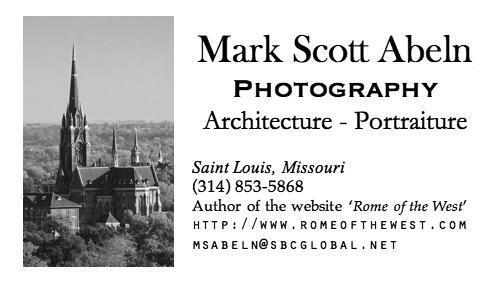 The latter I shall lose at death, but the former will be my passport to eternal life," Saint Louis IX, King of France. VIIIth Station of the Cross, Jesus meets the Holy Women. 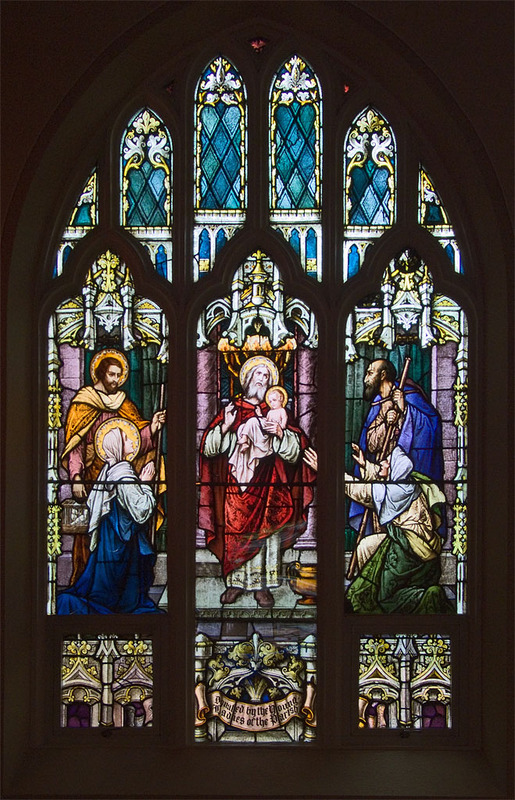 The Presentation of the infant Jesus in the Jewish Temple. 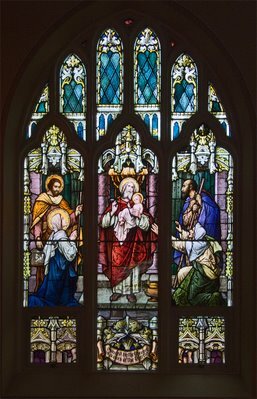 "And Simeon blessed them, and said to Mary his mother: Behold this child is set for the fall, and for the resurrection of many in Israel, and for a sign which shall be contradicted;" See Luke 2:21-38. "Donated by the Young Ladies of the Parish". The previous photos were taken a few days ago. 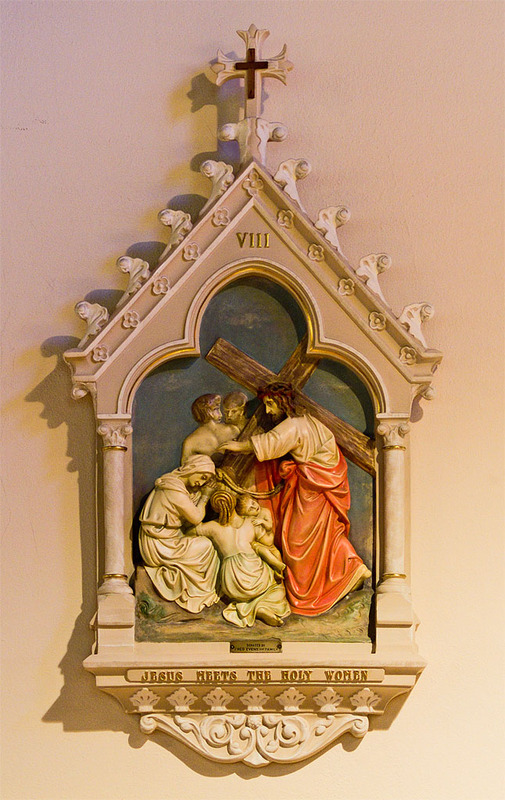 The following photos were taken in January of this year, right after the Octave of Christmas. 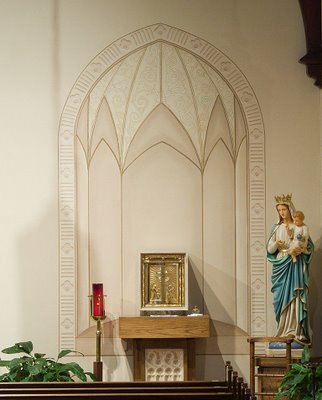 A devotional area, outside of the nave. 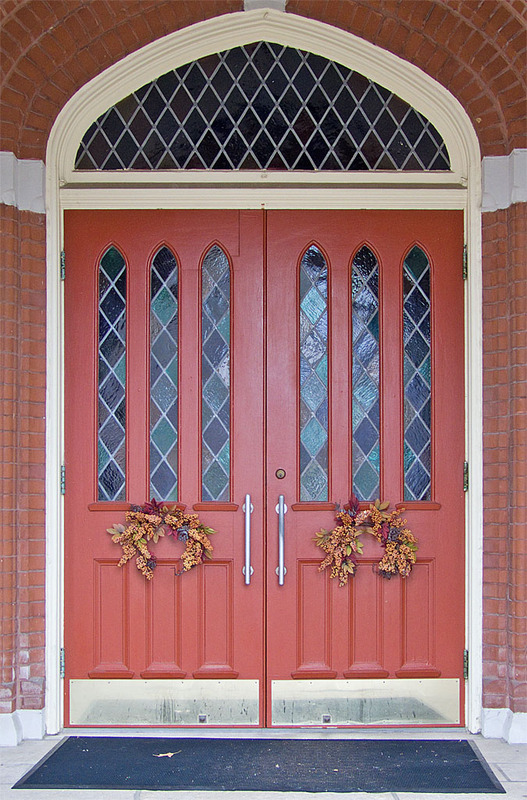 The parking lot leads to a side-door, at this time decorated with Christmas wreaths. A view of downtown Clayton from the church. 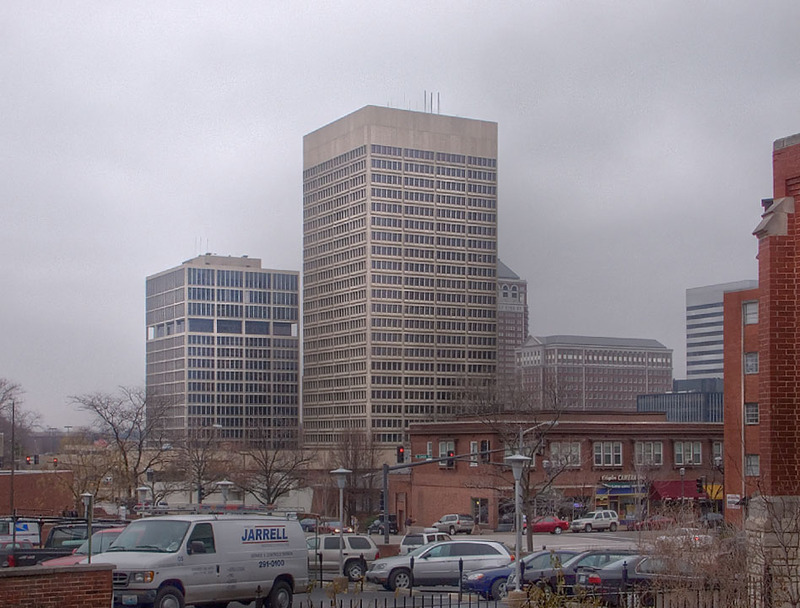 Saint Louis is often overcast, especially in winter. For more photos of this neighborhood, see my photo essay Photos of Downtown Clayton at Night. Sunday: 7:30 a.m., 9:00 a.m., and 11:00 a.m.